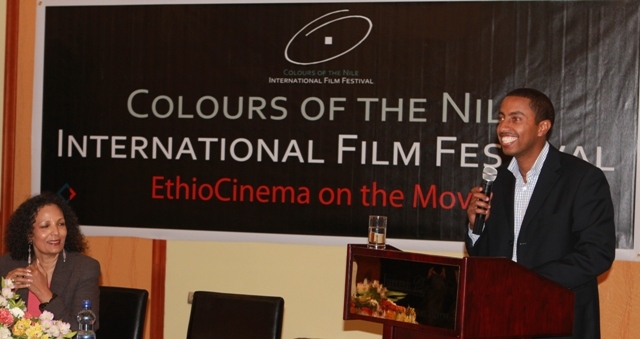 Colours of the Nile International Film Festival launched EthioCinema --a pioneering initiative that aims at exploiting the full potential of cinema for artistic, economic and national image building benefits. The Workshop “EthioCinema on the Move!” was organised by Colours of the Nile International Film Festival at Jupiter International Hotel. At the launching workshop Abraham Haile Biru, President of Colours of the Nile International Film Festival presented the EthioCinema concept and roadmap for its implementation. 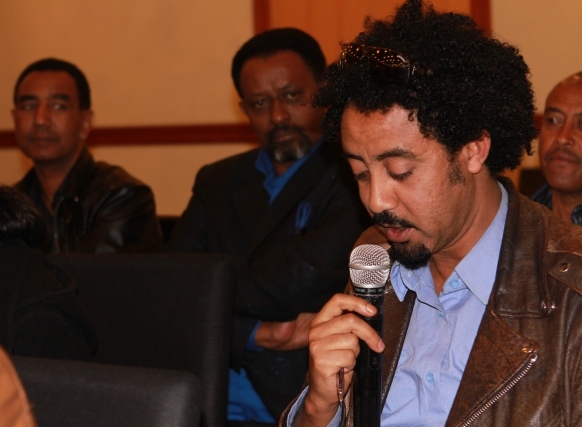 The EthioCinema workshop was attended by members of the Ethiopian Filmmakers Association, members and presidents of Ethiopian producers, musicians, writers, painters and audiovisual publishers associations. Also present at the event were prominent business people, filmmakers and members of the press. “EthioCinema is a concept that will transform the Ethiopian film industry to a quality oriented, profitable and internationally competitive film market that will benefit artists, the business community and the society at large.” said Abraham Haile Biru. Abraham Added “Its large population and growing business sector coupled with fast urbanisation offers Ethiopia a huge potential to build a vibrant film market”. The significant role of an internationally competitive cinema and festival for national image building, tourism and economic development was also discussed at the workshop. Ato Benyam Bisrat, cofounder and Manager of Jupiter International Hotel explained that the annual revenue of Ethiopia from its tourism sector is insignificant compared to what other world tourist destinations generate from the sector. It is also lower than the revenue of a single Hollywood Blockbuster movie. Ato Benyam, highlighted the importance of Colours of the Nile International Film Festival and the EthioCinema initiative for the promotion of the country’s business and tourism sectors and expressed his commitment to support their realisation. 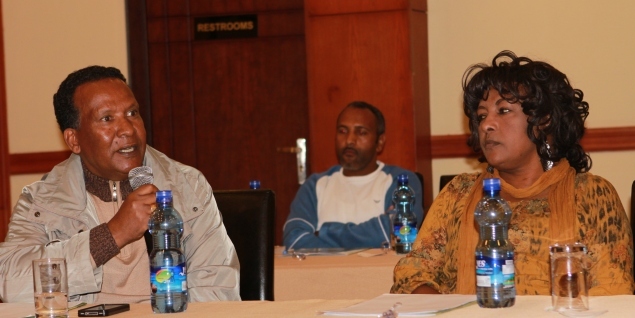 The EthioCinema concept was highly acclaimed by participants of the workshop. 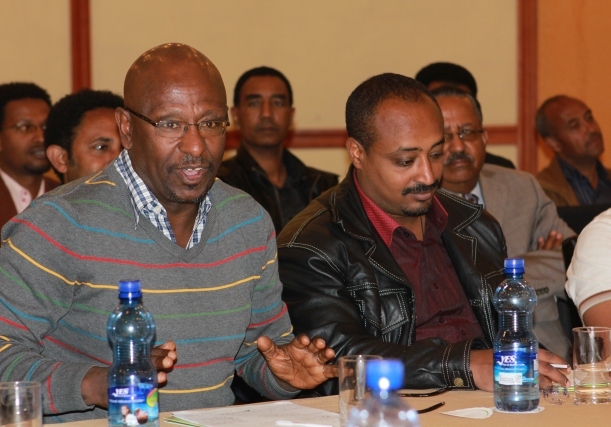 “It is time for the resurrection of Ethiopian Cinema” said Ato Amare Aregawi Managing Director of Media and Communication Centre and editor of the Reporter Newspaper. 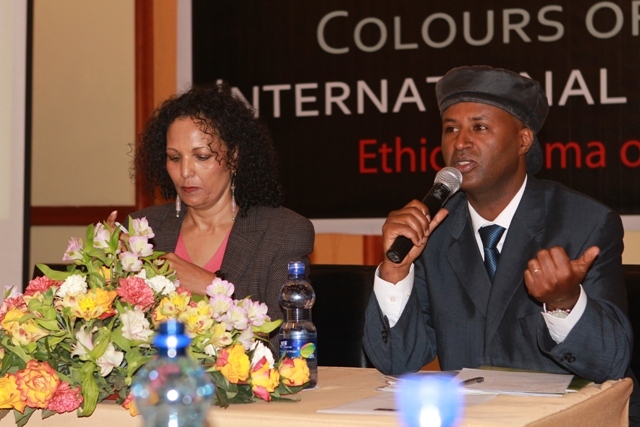 “Today, Colours of the Nile International Film Festival laid the cornerstone for the renaissance of Ethiopian Cinema” said a member of the Ethiopian Filmmakers Association at the workshop. Appreciating the power of cinema to bring together all creative arts, Ato Seyoum Ayalew, President of the Ethiopian Painters Association, Ato Dawit Yifru President of the Ethiopian Musicians Association and Ato Hailay Taddese President of Ethiopian Audiovisual Publishers Association were among those who expressed their support and committed to the realisation of EthioCinema. Filmmakers and prominent business people also pledged their support. The workshop recommended establishment of a task team that represents members of the creative arts and will serve as a reference group for the next steps defined to implement EthioCinema. “Colours of the Nile International Film Festival is the vehicle and a testing ground to realizing EthioCinema” said Tsigereda Tafesse, Coordinator of the festival. “With original content, high standard selection of films and a professional international jury we are determined to constitute Colours of the Nile as a world class film festival attended by big film personalities” Tsigereda added. Taking place 24 – 28 October 2012 in Addis Ababa, Colours of the Nile International Film Festival brings together creative minds from the entire continent towards the promotion of African Cinema. The festival is organized by Blue Nile Film and Television Academy and the Ethiopian Filmmakers Association.